← Today’s Art: What do you call a tree with a briefcase? 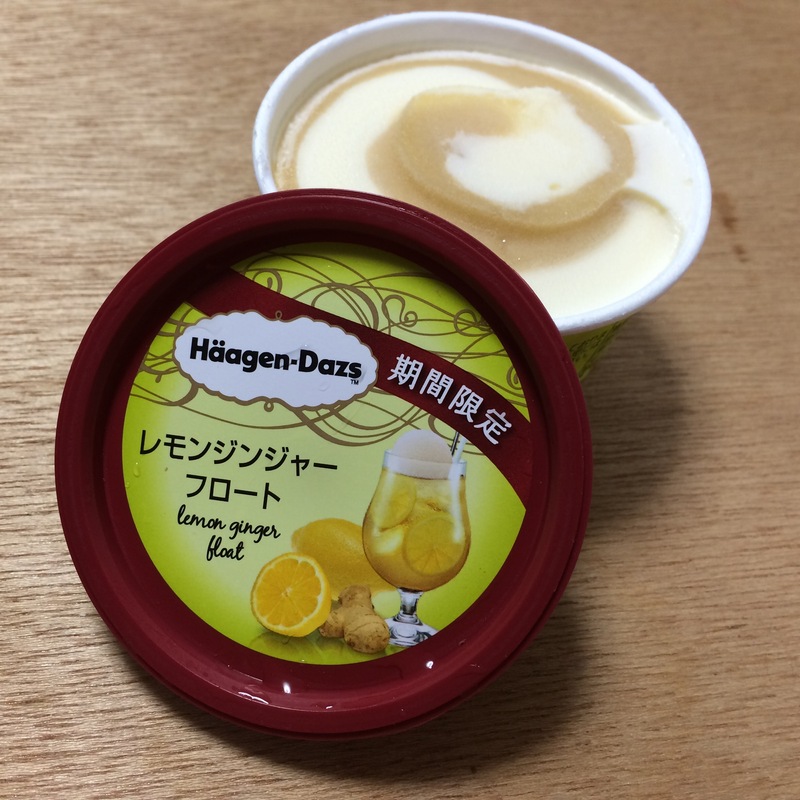 Haägen-Dazs Japan’s late summer flavors were on point this year, bringing some of the strongest offerings I’ve seen yet. From the Lemon Ginger Float to the Chocolat Mint to the Coffee Vanilla, it was a delicious slate that will keep a prize place in the freezer of my heart. summers they’ve offered a simple but amazing mint flavor around the same time, because in Japan, mint is a summer flavor. In America we tend to associate it with Christmas (candy canes, peppermint lattes, etc.) but I’ve come to crave it’s cooling properties in the dog days of summer. It was strange to me to have mint ice cream without chocolate chips at first, but it quickly became one of my favorites. The incredible smoothness was really highlighted in this super rich and creamy dessert. This year they finally decided to add the chocolate, and as expected, it’s fantastic. There’s a reason this is a classic! The chips are more like chocolate curls, and the delicate, lacy texture really brings a touch of class to what could have been mundane. I’ve had plenty of disappointing Mint Chocolate Chip ice cream in my life, but I never should have doubted HD. This is the Mint Chocolate Chip that all others should aspire to be. Next up is the Coffee Vanilla, which I actually found disappointing. I was hoping for the glorious creaminess I expect Haägen Dazs, but they decided to swirl a sorbet of coffee in a base of vanilla. It sounds like it could work, but it really fell flat for me. Ah, well. The Lemon Ginger Float had a similar structure, with a lemony ginger soda sorbet swirled with a creamy vanilla. In this case, however, it really, really works. I think the primary ingredients in this are angel kisses and unicorn laughter. I’ve had a lot of Haägen-Dazs in Japan (like the Haägen-Dazs Rose and Sakura flavors) and this is possibly my all time favorite. Of. All. Time. At first I was worried that like mint, lemon and ginger would taste like winter flavors. After all, what’s better on a sore throat than a hot lemony gingery beverage? The creaminess really balances it out though, and the burning brightness of the strong ginger works so well with the frozen lemon. It’s like eating a frozen star, deep in the icy reaches of space. Intense, but way more refreshing than the usual space ice cream offerings! So, there you have it–one of the best ever flavors, an update on a classic, and a weak offering that if anything serves to make the others seem even better by comparison. Stay tuned for the upcoming reviews of the fall flavors, Sweet Potato and Japanese Chestnut! 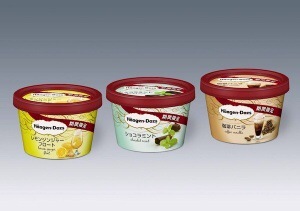 On a side note, I recently discovered that the Haägen Dazs factory for all of Japan is here in Gunma! It is now my new life goal to go to there, and hopefully document it here on the blog (or maybe even YouTube.) Wish me luck! This entry was posted in Food! 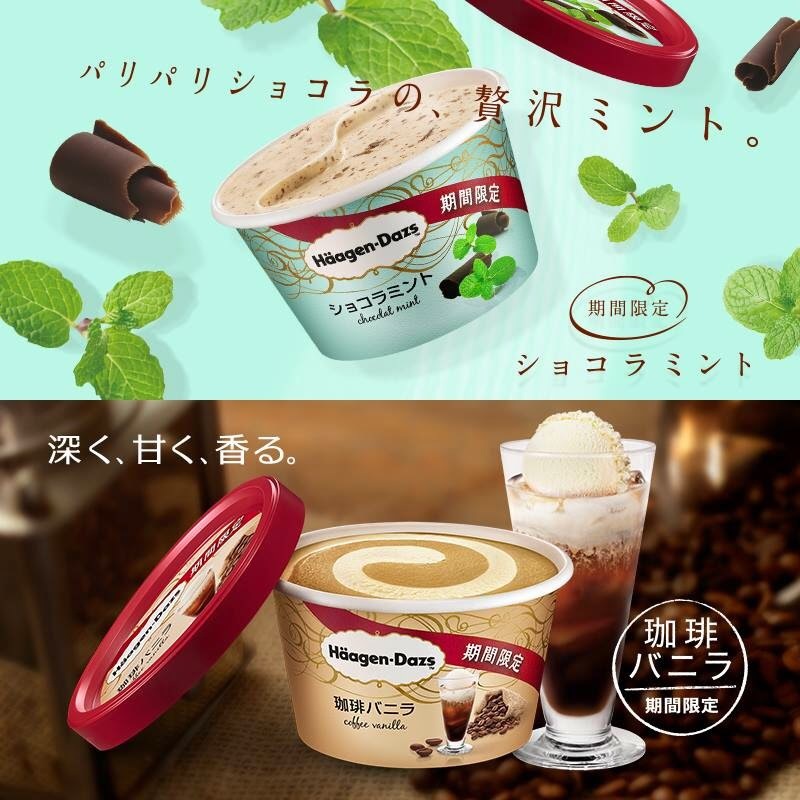 and tagged chocolat mint, chocolate, coffee, dessert, Haagen Dazs, ice cream, Japan, Japanese, lemon ginger float, life in Japan, mint, mint chocolate chip, sweet, vanilla. Bookmark the permalink.